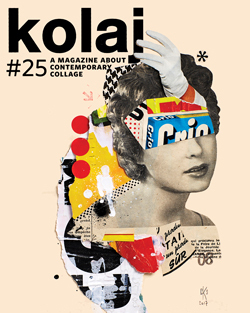 Kolaj #19 delivers a look at the wonderful world of contemporary collage: the people who make it and the people who love it. 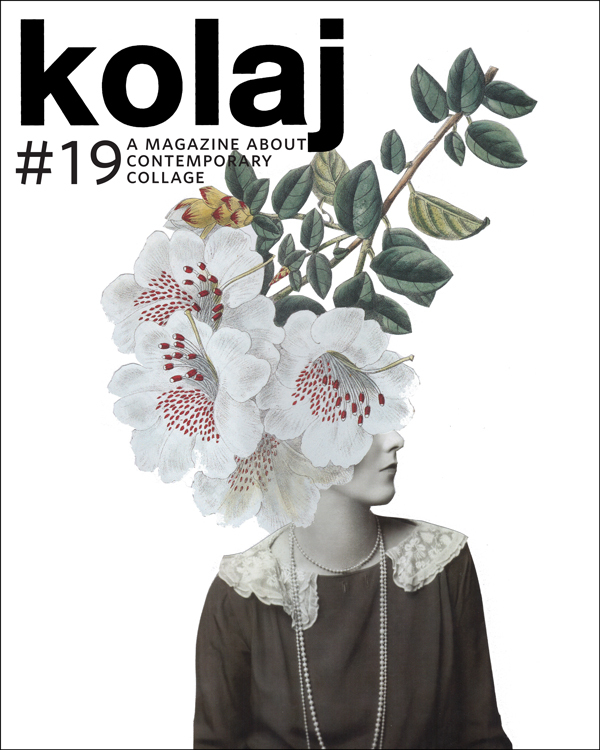 Selections from Olivia Descampe’s “Botanical Catwalk” series grace the front and back cover of Kolaj #19. Descampe’s collages are minimal, containing only a few fragments, but they manage to forge powerful images and narratives using the simplest juxtapositions. A portfolio of Descampe’s collage appears in the issue. 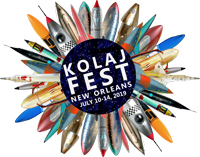 In the issue’s News & Notes section, we report on Collagistas Heading to Milan, Kim Engelen’s Monthly Mini-Exhibitions in Berlin, the 19th annual International Collage Exchange, and how London-based The Nyco Project brings collage to their music and videos. 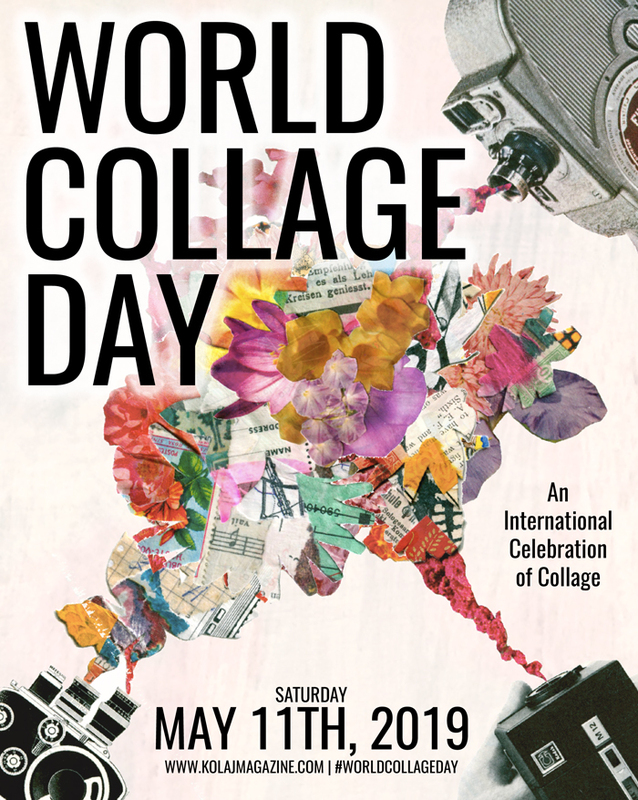 We spotlight Leo & Pipo’s Imaginary Portraits collaborative collage project in France; Anelor Robin’s wandering contemporary collage project, GlueHeads and the roadside Scandinavian Collage Museum in Norway. In the issue’s installment of the Collage Taxonomy Project, we define “scanography”, a technology that has the potential to offer an immersive collage experience. Ric Kasini Kadour tells us why the Eduardo Paolozzi Retrospective at Whitechapel Gallery shows us the artist is more than the “Godfather of Pop”. We look at artist portfolios from Amsterdam, The Netherlands; London, United Kingdom; Liege, Belgium; Moscow, Russia; and Berlin, Germany. 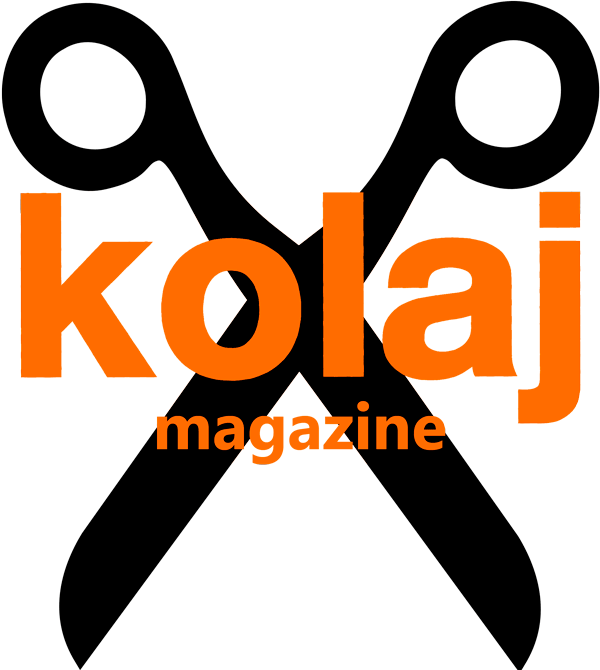 And as always, a Kolaj Artist Directory. Already subscribed? Don’t worry, you will be receiving your copy by 15 May.